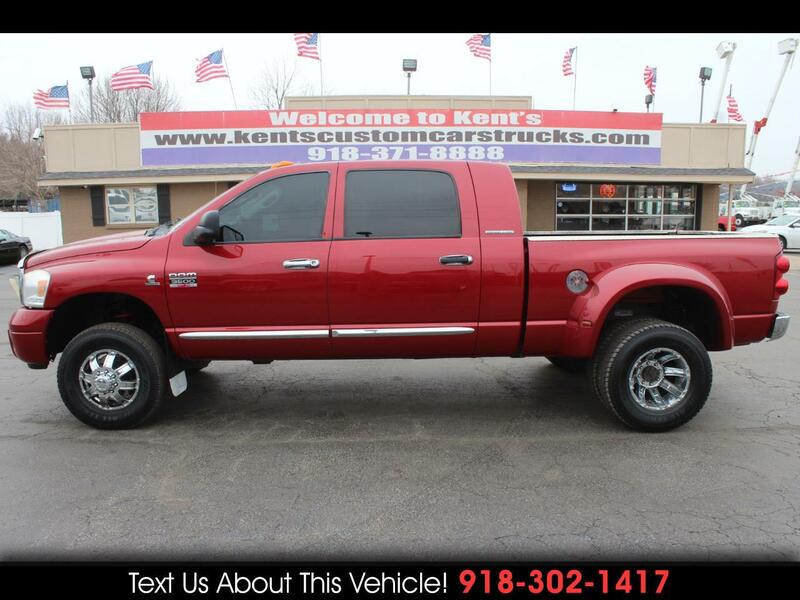 2007 Dodge Ram 3500 Laramie Mega Cab 4WD DRW 6.3-ft. Short Bed Pickup, Cummins 5.9L L6 HO Turbo Diesel Engine, 6-Speed Manual Transmission, Leather Seats, Power Front Seats, Heated Front Seats, Carpet Floor Material, All Weather Floor Mats, AM/FM Stereo with 6 Disc CD Player, SiriusXM Satellite Radio and 7 Infinity Speakers, Uconnect Voice Command with Bluetooth, Rear Seat Video System with rear seat video system, 7'' monitor, DVD player and wireless headphones. (Missing Headphones) Remote Keyless Entry, Rear Power Sliding Rear Window, Air Conditioning with Dual Zone Temp Control, Cruise Control, Child Seat Anchors, Power Door Locks and Windows, Power/Heated Exterior Mirrors, Tilt Steering Column, Tinted Windows, Power Steering, Anti-Lock 4-Wheel Disc Brakes, Trailer Tow Group (Includes Class IV trailer hitch receiver and 7-pin wiring harness and 4-Pin Connector Wiring.) Power Black Trailer Tow Mirrors, Heavy Duty Shock Absorbers, 3.73 Rear Axle Ratio, Anti-Spin Differential Rear Axle, New Americus LT285/70R17 Tires, Ultra Motorsports 17 inch Alloy Wheels. For more information give us a Call at 918-371-8888 or send us a Text Message at 918-302-1417.